The Linn County Courthouse, where the county tax department is housed. Guess what, property tax totals in two mid-valley counties are up again this year. This is no surprise. Voters in Albany approved a slight bump in the special levy for public safety. New construction has taken place, and in many cases the assessed value of property went up regardless of what the market did because the assessed value had still been below the market value and therefore could rise up to 3 percent. 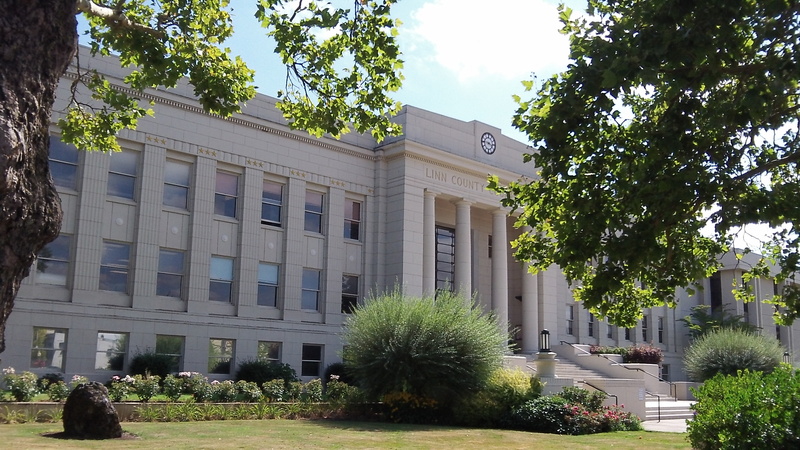 The principle of compression is saving taxpayers in Linn a total of $9.7 million, about a million dollars more than last year. Benton County reported a tax reduction due to compression of more than $5 million, also more than in 2012. Compression, in case you forgot, is the reduction in individual property taxes caused when the amounts imposed by overlapping taxing districts would otherwise exceed the rate limits set by Measure 5, adopted in 1990.